On March 5th and March 12th,2019, Chinese Ambassador He Xiangdong bids farewell respectively to Hon. Lt. Gen. Michael Changjiek Geay, Minister of Interior, and Hon.Kuol Manyang Juk, Minister of Defence and Veteran Affairs of South Sudan. Both Ministers appreciate the contribution made by Ambassador He in promoting South Sudan-China relations. They commend China for its assistance and support offered to South Sudan to achieve peace, stability and development. South Sudan looks forward to working with China to continuously advance bilateral friendly and cooperative relations. 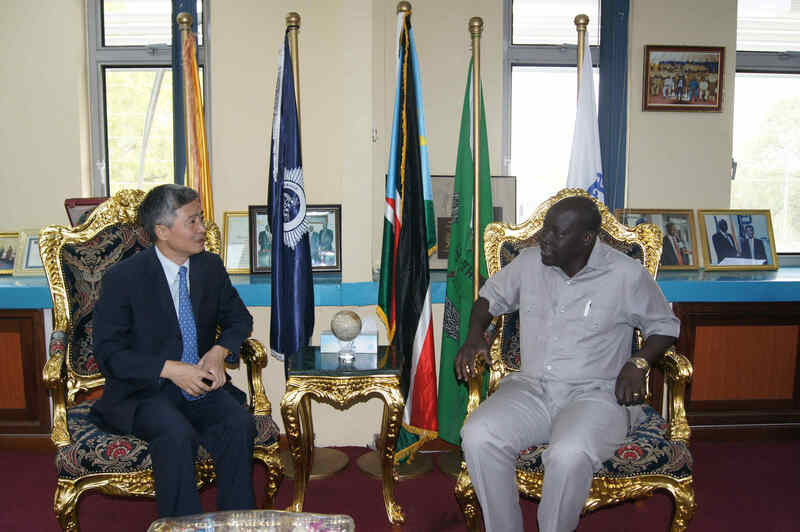 Ambassador He commends both ministers and their ministries for the support to him and Chinese Embassy during his tenure in South Sudan, especially in assistance to protect the safety of lives and property of Chinese citizens in South Sudan. 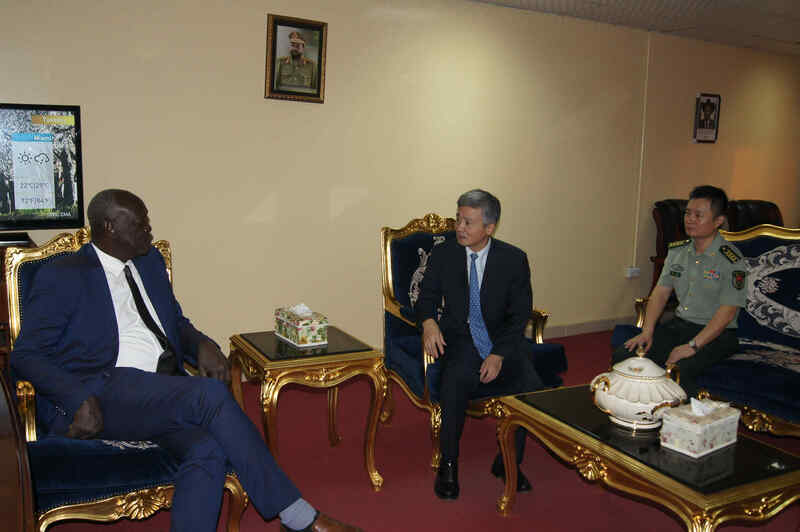 Ambassador He hopes that South Sudanese government could take all necessary measures to ensure the safety of lives and property of Chinese citizens in the country.